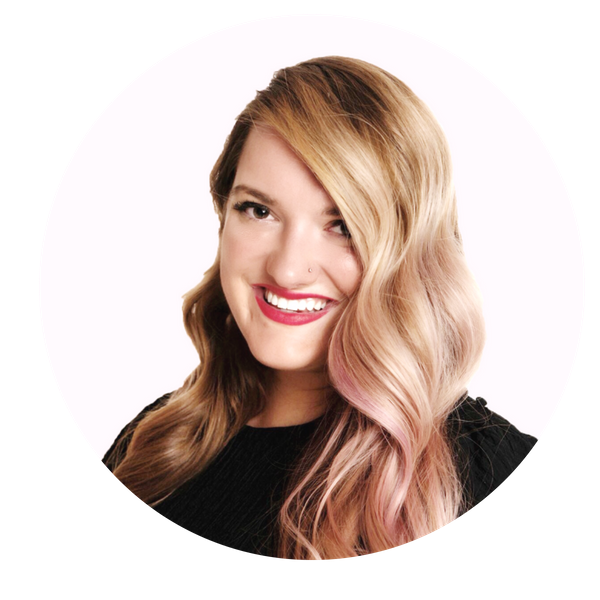 Next up in our Fierce & Fearless Business Owners series is Amanda Hawthorne of Live Well Paint Often! Amanda is a super-talented artist who paints live events like weddings and parties. What an incredible keepsake of your big day! Where Can We Follow You? On Instagram and Facebook! You can also check out my upcoming art classes and events, or check out my Wedding Wire page. Tell us about your business - what do you do/sell? I am a Live Event Artist. I paint weddings and special events in real time. I love using layers of texture and color to evoke movement and emotion. I capture moments of time on canvas for people and families to enjoy and cherish for generations. When the painting is completed, they will then own a timeless piece of artwork that represents an unforgettable and life-changing event in their lives. I am also an art teacher, I love seeing my students connect to their inner artist. Regardless of whether they believe they are creative or not, they give themselves the opportunity to try. That's what art is all about... taking action and experimenting with joy! How did you get started in this industry? I have been as artist since I could pick up a crayon. Painting is what I have creatively connected to in my 15 years of being a professional artist. Since graduating from Hunter College I have always followed my intuition and pursued a creative career. I have always loved teaching art and guiding others through the creative process. It is so rewarding seeing my students connect to their inner artist. When it comes to live event painting, a friend asked me to paint her wedding, and I fell in love with the process. Every painting I create I still feel as though I'm learning and growing from the experience. I love having the opportunity to paint in front of a live audience, I feel as if I'm on stage! What did you do before starting your business? My first job right out of college was working for Martha Stewart. Yes, I know, pretty crazy to jump in feet first. But, I realize now, the most significant things happened when I stepped outside of my comfort zone and made a drastic change. I thought I wanted to continue to grow as a prop stylist and set decorator. I even moved to Los Angeles to follow the dream I thought was for me. I met some amazing people, worked for celebrity clients, and eventually got my foot in the door with high profile production companies. After some major contemplation, and a few unexpected set backs, I realized that I needed to make a change. It became very transparent to me, behind all the glitz and glamour, the entertainment business is not at all what it seems (in my experience). It showed me a world where huge egos with ruthless unethical tactics and unhealthy competitive behavior takes over. It's not who I am and I chose to leave the dream of making a career in TV and Film behind and look within to find my purpose, one I could connect with and feel good about. That is when I realized that art was always my true passion in life. What are the biggest rewards in running your business? I would have to say my connection to people, and having the opportunity to tell a story within my paintings. The love of family and friends, and the love that is found between two people is what drives me to paint everyday! I'm so grateful to have the opportunity to serve, share my talents, and follow my purpose to the best of my ability! We are all connected and my goal is to capture that essence in all of my paintings. This quote perfectly sums up how I feel and why I do what I do. The quote touches on art and painting, color and movement. Fogelman creates such beautiful visual imagery, and integrates his words with such elegance and harmony to create a perfect analogy for life. It pulls at my heart strings. What are the biggest challenges? Some of the biggest challenges are long hours. Owning a business sometimes feels as if it were a 24/7 operation. Time management and fitting everything I need to do in one day is difficult. Writing out a daily "To Do" list is my savior. Unfortunately, having a social life typically takes a back seat, and running my business comes first. Finding a healthy balance and figuring out a daily schedule for myself, is something I am currently working on. When you love what you do, it does make it easier to work long hours, time goes by so quickly when I paint, it's scary. I could be working on a piece and its 8:15 pm and I look at the clock again and its 3:30 am and it felt like ten minutes went by. So yes, I would say time management is my biggest hurdle. What are your favorite upcoming events?. I have some awesome acrylic painting and wine glass painting classes coming up that I'm teaching! The schedule and venue locations change every month! So please keep checking back for new dates and times! Give us one fun fact about yourself! I can be seen on the NBC reality tv show Celebrity Apprentice Season 9 (3 episodes) as the resident "Prop Girl" . No, I didn't meet Donald Trump. It was a very interesting experience, to say the least, but that's another story for another day!